I’ve added to long stock indices positions this morning (SP500, Dax and Hang Seng). My original position was fairly small. Here’s why I’ve added. 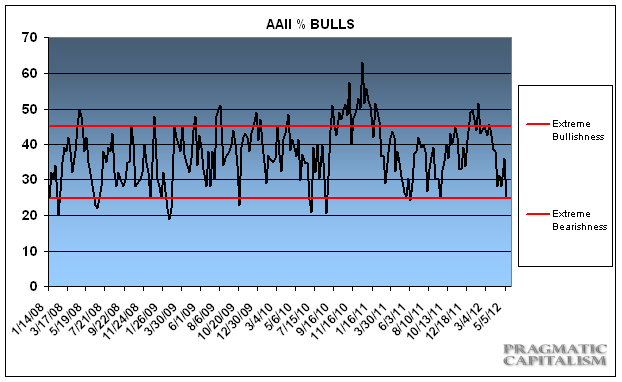 AAII bearish sentiment has moved to the levels seen at last year’s market bottoms. In other words, bullish sentiment has very rapidly evaporated. There is a positive divergence on the Nymo, which has historically signalled a bottom. To reiterate my view: I expect equities to track overall sideways with volatility into next year’s solar peak, something like the action in the box below. That means I’m looking for opportunities for shorter term moves, up or down, where the indicators line up. 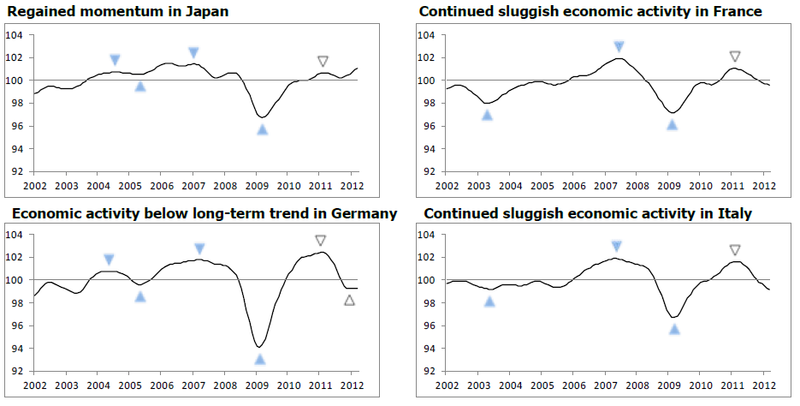 Economic Surprises continue to languish, Euro debt continues to fester. 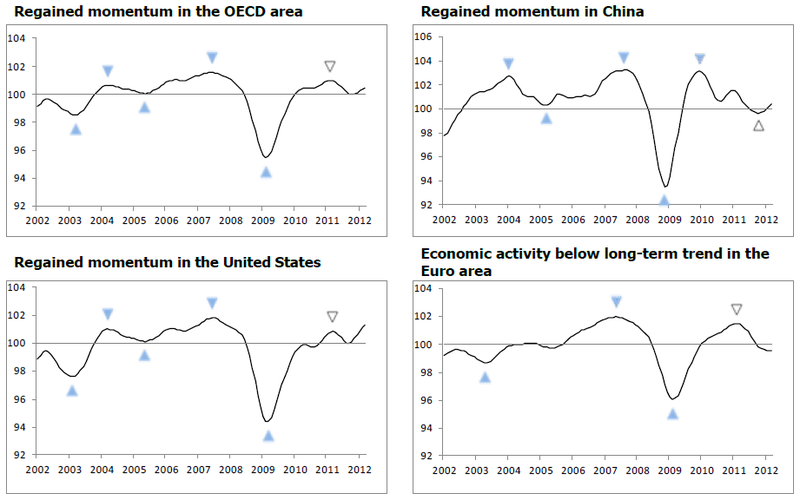 However, OECD leading indicators paint an overall positive picture ahead. The period into the solar peak is typically one of growthflation. I reiterate that I expect a natural pick up in growth or one with central bank assistance. There is some evidence here that we may swing up naturally ahead. $NYADV:$NYDEC with MA(5) says we have bottom and the associated Slow Stoch. 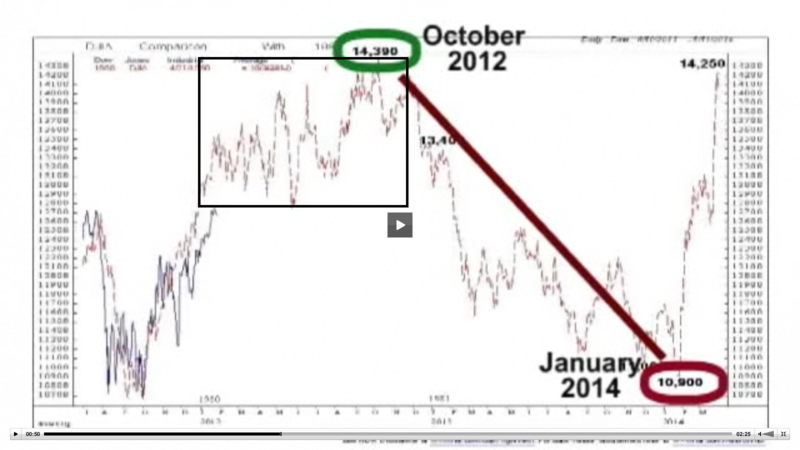 (15,1) is giving a buy signal…. added Alcoa since its RSI is at strong support level. added more CCJ shares to support my long term nuclear play. John I think you are losing your way here… You don’t even seem to pay attention to your own models anymore which I find a pitty since it is precisely those models that made your site interesting (been following you since the amalgamator days). The way I read your models, we are spot-on in commodities and DAX, and SPX is way over the model trend, meaning that sooner or later it is gonna crash bigtime. Of course, knowing WHEN it will happen is key but with all the “sell in may and stay away” talk around lately I wouldn’t risk going long right now .. The only real opportunity I see here is shorting SPX and leaving commodities aside until we see a clearer picture… Just my 2 cents. Hi Lemmi, a challenge is always useful, so thanks, and I can see where you are coming from if you look at the Sp500 geomag/lunar medium term model, it looks like a short not a long, some way above the model. I am following my own models. Short term I’m looking for upside into the end of next week, as per the short term models, so the timing of my buys has that in mind. The medium term models show the Dax roughly on model and the CRB just below, and I recently mentioned this as a reason why I didn’t see the Sp500 as a short. The geolunar model captures the changes in sentiment and mood brought about by the sun and moon, so it is a model for all pro-risk assets. Not all pro-risk assets can run exactly per the model, as other factors will influence outperformance and underperformance (such as US growth exceeding Euroland). If US leading indicators were weaker than elsewhere then I might rather see that US stocks had gone too far, but it’s not currently the case. If stocks are going to fall hard, then I expect them to do so after another push up, creating the negative divergences that were missing at the existing high. I’m looking for both short opps and long opps in equities, and more short term than anything else. Today, technical indicators suggested long opps, so I went long. Will keep these longs into the end of next week, my next short term model peak and then see how things look. I have to agree with Lemmi’s comments above with regards to how this site has appeared to drift away from its original intent (I suppose). No talks about the recent episodes of solar flares taking place or how effective the lunar cycles have been over the past couple of months for financial instruments but rather more-of-the-same typical technical analysis you can find anywhere. With that said, I disagree with his assumption that stocks have to crash. I better way to play it would be a hedge, short equities and long commodities. Simply put, using ETF options, I am short SPY and long USO and GLD. With all of that said, I am still very appreciative to you, John, for sharing your knowledge and models with us. For me, it has been quite helpful in adding to my arsenal of tools to tackle this beast of a market. OK, thanks RyKnow, also appreciate the honest feedback. The lunar oscillation is a permanent feature of my work, which I reference reguarly for short term trend change. 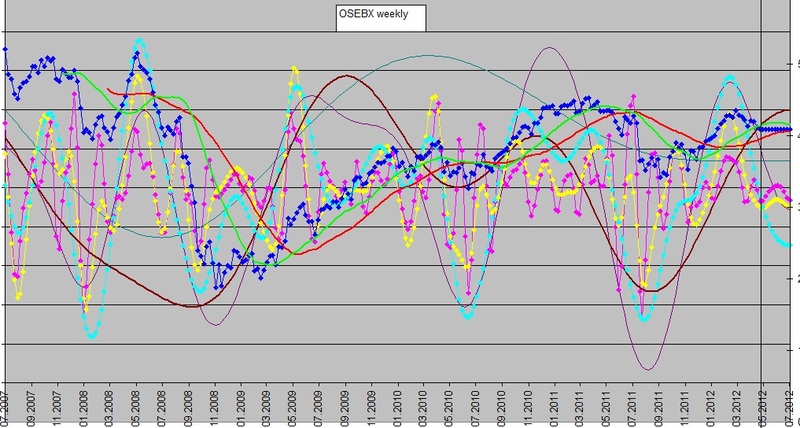 In mid-March I talked about the geomagnetism and its divergence with equities, as well as the economic surprises divergence and technical indicators, suggesting the rally was on borrowed time. Since then I have been more commenting on the macro and the technicals, I accept. I am still the ‘amalgamator’, drawing all that moves the markets together. I won’t ever be someone just trading solar alone, but solar is central. There will be times ahead when it comes more into focus, and I shall comment accordingly. As we rise up towards the maximum, it will become more dominant. But until just lately so far in 2012, sunspots were fairly tame. Because I study what’s happened in the past. Commodities took off 2 yrs before their peak, 18 months before their peak. Their take off is overdue. Acceleration should come 6 months before the peak, and manic acceleration 6 weeks before, but my aim is to capture the whole move. Right now commodities are generally overbearish and oversold, and their peak by solar cycles is at the latest late 2013. That’s a golden opportunity, in my view. With Venus retrograde on next Tuesday on the 15th, we could see the market down into that aspect, then up as John said maybe into the solar eclipse around the 20-22nd. June could end up having a nasty sell-off IMV…. I don’t comment here much, but I read your site every day and very much appreciate your work and your willingness to share it with us. I wish you a great weekend with lots of sunshine! Merriman has Venus changing direction as one of his Level 1 signatures, but he gives it a time window of several days. So the turn could occur a few days before or a few days after the event. Not very useful for short term trading, I will admit! Impressive timing! Do you feel that this morning’s bullishness can be sustained? Well, now we have to see if there’s a bounce tomorrow. Of course, time and price have to align, and we certainly have come to a reversal date, and 1320/1330 is a critical price level, so there is alignment of the possibilities of a bounce tomorrow. If we can’t close above 1320/1330, then there are chances for a crash based on more panic selling and no buyers at these levels. Reversal dates can continue a correction in the direction it is already going in. That is what happened in Aug 2011. There was a reversal date of I believe Aug 2nd, and we continued to correct rather than reverse up. But, as everyone knows reversals can be event driven and take everyone by surprise, so I would not be surprised if we get some meaningless positive data and the market latches on to it as a reason to rally. According to the information and data that I have been looking at, this is definitely not the end of the correction. And, based on the patterns of corrections we have been having for the last couple of years, we have been having complex Elliott Wave patterns in an abc wave format. So far it looks as if we are completing an abc pattern for a major (A) wave, then this potential rally into the solar eclipse could be the major (B) wave then the (C) wave could end around July 3/4. And anyone who follows Elliott Waves knows that the (C) wave has the most velocity and does the most damage, so we haven’t seen anything yet IMV. It almost feels as though the market is attempting to get this correction over with quickly…maybe so that we can get to higher highs in Q1 of 2013 before the big correction…?? So allthough I am pretty bearish, I don´t see the edge for any crash right now… or this summer either. I presume we’ll know if he’s right in the next two months, the market looks to be starting to discount the probability. Since when is there a linear relationship between recessions and market prices? If so, we could just trade the GDP report and be done with it. Still tracking ECRI. 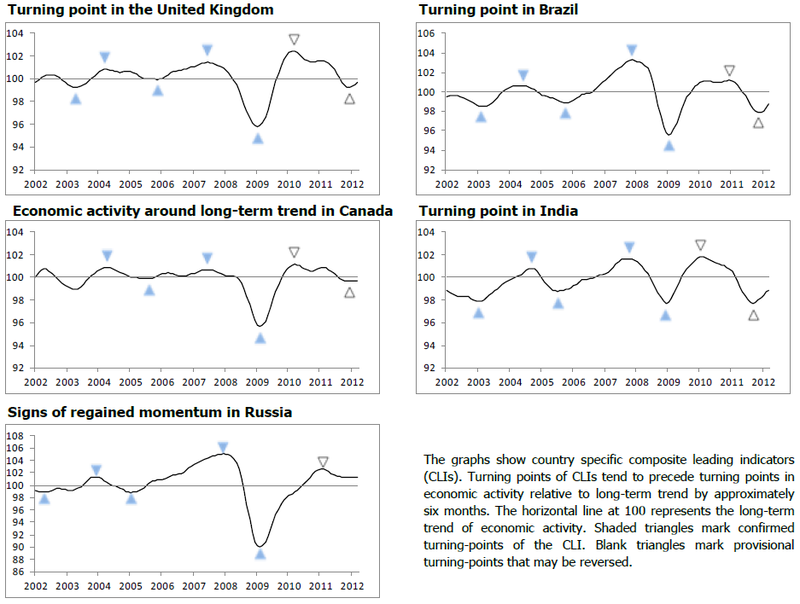 Leading indicators marginally negative now, but same reading as last week. Noted they are still sticking to their recession call. If they are correct then other recession leading indicators will fall into place too, but those indicators aren’t there yet. So continue to monitor. John, If Greece exits Euro-Zone and some other countries also follows, causing the Euro to collapse, how gold and PM stocks will be affected? If Greece alone exits then I would foresee a relief rally. I don’t believe there is any appetite in the EU for mutliple countries to exit and a break up to occur. Thanks John. It seesm that most Euro-Zone countries except Germany want to print more money. If they do not exit Euro-Zone, how can they do so? ECB officials and leading European leaders have been on the airwaves during the past few days reassuring everyone that the Greek exit can be “managed” – in other words, they will not be standing back doing nothing. Germany is the most exposed to Greek sovereign debt at $22.6BN, and France next at $14.6BN. As I understand it, the European consitution would need to be changed to allow money printing. Based on actions and words in Euroland to date, I would expect they choose closer fiscal integration over split up, and expect them to continue their piecemeal approach, such as the ECB supporting the bond market as required. hmm, actually I’d see kicking out Greece from the euro-zone as very POSITIVE for the euro (and negative for Greece). That would cause the Euro to rise vs the dollar, and historically speaking when USD falls, commodities (and PMs) rise. China just cuts reserve ratio by 50 basis points. As you have hoped and predicted…lets see how the world is going to react on Monday. Good luck to us all. The reserve ratio was reduced. More and more Chinese cities are trying to boost real estate transactions and to support the real estate price. It seems that hard landing will not happen in China in the near future, which should be supportive to commodities. John, have you made any thoughts where we could be with the dow/gold ratio at the time of solar peak? Historically the turning point was somewhere around 1. Now we are by 8.1 and should actually decline any time soon, should we stay in descending log-scale channel of dow/gold ratio (starting after 2000 peak). By previous dow/gold ratio swings we always stayed in such channel for some 15-20 years. The projection for 2013 low would be somewhere by 3 (lower boundary of this descending channel at that time). Dow/gold ratio of 1 is projecting by 2020 should we decline in the same rate since we do from 2000. In other words if you expect Dow by some 14400 at solar peak, then do you expect gold by dow/gold ratio of 3 by some 4800 usd/oz? Or do you expect that we reach dow/gold ratio of some 1 already during solar peak (eg gold of some 14800 usd/oz?). And perhaps another question on you. 1980 was the 19 year low for USD as well which helped commodities to peak. Do you expect USD to go lower into solar peak from now? For me it is hard to believe because USD has reversed against its own countraparts in last few months… So do you expect commodity peak with relatively strong dollar? Thanks for your thoughts. I would post some charts of these longterm log-scale dow/gold ratios, but your blog does not allow to attached any pictures. If you have accounts with photo sharing websites such as Flickr.com or Screencast.com you can upload them and paste the URL’s links into your comment. Anyone who wants to look at your charts need only click the links! Based on the long term dow-gold chart, I consider anything between 1 and 6 a suitable end point, so will look to other indicators to judge gold’s top (e.g. oil: stocks ratio, gold: house price ratio, a parabolic final move and blow off top, extremes in gold sentiment, and of course the timing by solar cycles). I do rather expect USD to break down, but it tracked overall sideways in the last commodities secular bull finale, so either sideways or down. 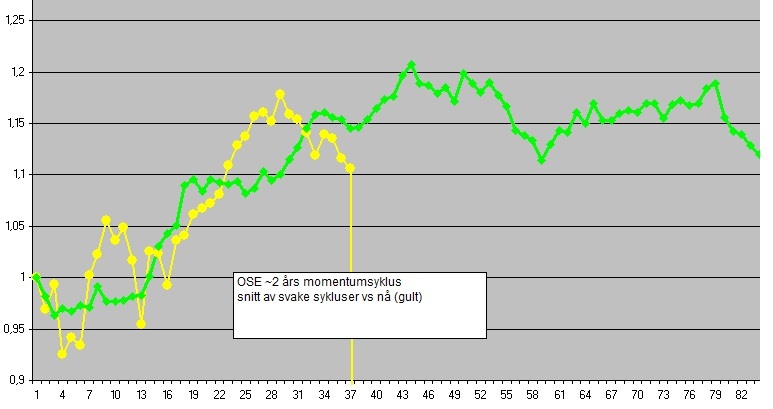 It’s the third in the past six months – February 2012 and November 2011. Having previously decided not to buy any more gold or silver, I’ve been tempted back into a highly leveraged gold spreadbet at $1561.1 with reversal candles and strong MACD divergence on M5 and M15 charts. In my opinion, the gold price has not entered a bear market, it lacks the parabolic rally we saw in 1978-1980, and the decline has seen it lose 18% or so over 7 months. If the gold bull was truly over, we’d have seen 20% loss in price within a matter of days or weeks of the 2011 high. Gold could be in a sideways rectangle which is a continuation formation, or it could be breaking down from a major top distribution from last year. The us stock mkt could be in a mild correction or it could be the top of a 3 year countertrend bull run. The $ could be in the sideways movement of a downtrend which will continue, or it could be in the early stages of a major bull mkt – 11 days in a row up. The best evidence for all the former is the trend is your friend. 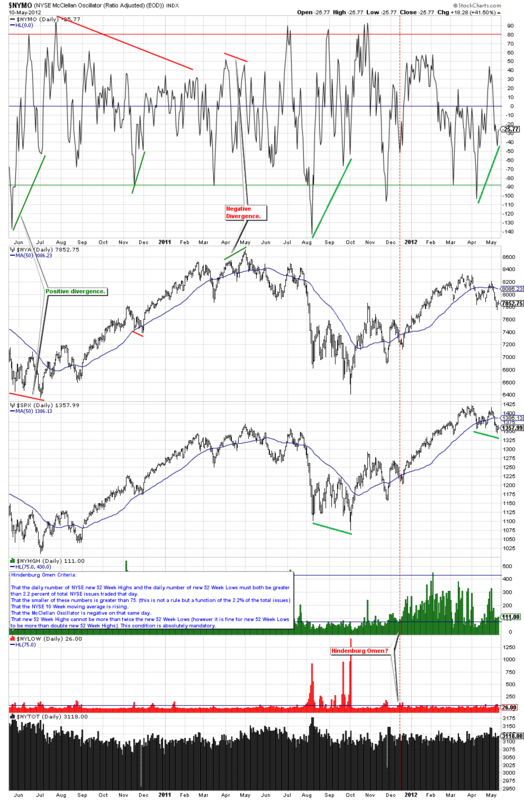 The best evidence for the latter is the trend has turned as evidenced by mkt action. The markets certainly seem to be at a major crossroads. I wonder what will happen if the 10-year US Treasury yield, currently at 1.78%, closes below critical support at 1.8% this week? – for the first time ever I think. There is no deflation. Yields are just low due to systemic risk of a default. They are a hiding spot where you will get your money back, instead of lose it. No one is investing due to the attractiveness of yield. I agree that there’s not much evidence of deflation at the moment. But the financial markets can turn markedly and rapidly – a lesson you have recently learned from the USD. The market is oversold in the short term,there has been up pressure(by my model) since the 9th from the 1342 level which seems to be holding it. Nymex is low but not at an extreme. No sign from John that CBI has triggered a capitulation and the data from Rydex would suggest that people are actually buying into this fall rather than selling. All this suggests to me that a bounce of sorts could come at any point but it still looks like people are in their comfort zone and that normally indicates either further weakness or time is needed before a sustained rally can take place. As I wrote the other day trading at 1613 dramatically increased the likelihood of trading down to roughly 1500. In fact the level is 1485. For me this is the likely base of the bell-curve for a distribution running into next year. If there is substantial or sustained price action below that point then the mania stage that I feel will come in a year or two is less likely. Hi all, just got back from 2 days away. Only had my phone so couldn’t update here but followed the markets and added to positions yesterday as the selling intensified and various key assets dropped to sub 25 RSI. These are the opportunities I love. I added long silver, oil, agri and FTSE 100. They may yet go lower (capitulative breadth only at 2, Spanish CDSs at new highs, Greece resolution not apparently near), but I will buy more if they do. If you subscribe to my projection for commodities into 2013 then this is likely the last great opportunity on the buy side. If you don’t, then a period of mean reversion will come to pass, from the current overbearish and oversold extremes. We should still rise into this coming weekend for the new moon, geomag is benign and sunspots are high too. I will answer your comments, mails and make a proper post in due course. We’re running short time left before the New Moon (which occurs over the upcoming weekend). The Lunar Cycle will put pressure on the markets for more downside once the New Moon hits. Will you hold your longs thru the upcoming two week period beginning at the New Moon which is often bearish for stocks? Yes into and around the moons, not ending on the moon, but the moon being the maximum. I expect to hold my longs. Overbearish and oversold should mean a multi-week rally to emerge, whilst accepting the lunar oscillation. The other point I would make about the present situation in equities is that they have fallen since the start of May but in Gold terms they have in fact risen. Since the beginning of the secular bear market this has normally been in the short/med term negative.